An Adilette sandal with a cork footbed. 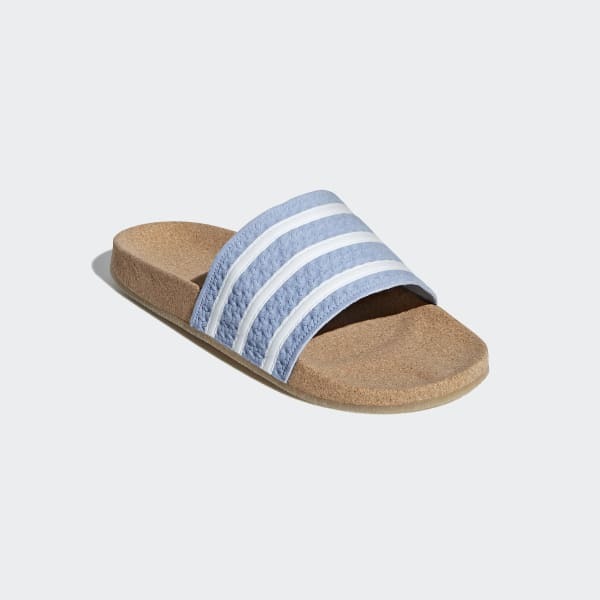 A go-to for relaxed style, the famed Adilette slide gets a seasonal update. 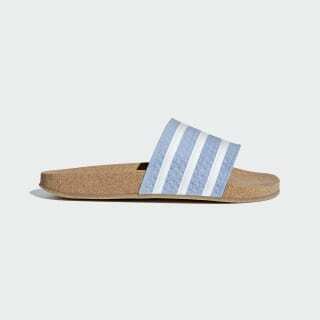 These sandals have a wide nubuck strap with an embossed design for added texture. The cork footbed ensures a comfy feel.